Spotify has announced it has overhauled its Discovery feature and added a new Related Artists' tab. This will comes as good news to the thousands of Spotify fans who use the service but want to find music which suits their palette. The recommendation engine will be powered by the company's own metadata which contains 'cross-referenced data collected over millions of user listening hours'. The all-new Related Artists tab will make it easier to see bands that you may like. The tab has been given an easy-to-use interface which uses pictures of the artists in question. All you do is click on the one that takes your fancy and a list of their available music will appear. 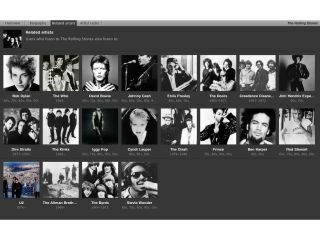 "Artist recommendations have been fine-tuned meaning music fans can now dig down much deeper into the Spotify catalogue," said Erik Bernhardsson, Spotify Developer and Project Leader, about the new feature. "Improving the way in which Spotify users can discover exciting new artists and music in general, such as by sharing playlists, will play a vital part in Spotify's continuing evolution. This is only the beginning."